PCI Geomatics, developer of remote sensing and photogrammetric software and systems, announced the release of Geomatica 2017 - the latest version of the company's complete and integrated desktop, geo-image processing software featuring tools for remote sensing, digital photogrammetry, geospatial analysis, mosaicking and more. This release greatly expands Geomatica capabilities by adding two new packages, as well as improving core technology and satellite sensor support. 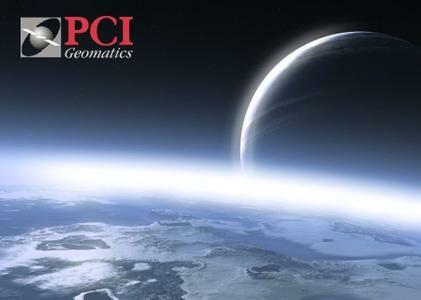 "The common theme behind all the advances in Geomatica 2017 is making complex technologies easier to use, for both experts and non-experts" said David Piekny, Product Marketing Manager at PCI Geomatics. The two new packages are Geomatica Object Analyst, for image segmentation and object classification, and Geomatica InSAR, an advanced radar package for measurement and analysis of ground subsidence and uplift. Easy-to-learn and easy-to-use, Object Analyst guides you through segmenting images, extracting features, creating training sites and classifying objects (including through custom rules). By segmenting images into discrete objects, boundaries and relationships can be more easily seen and analyzed, leading to new insights and discoveries. Shape manipulation and accuracy assessment are also included, allowing quick image processing and results. End-to-end interferometic radar processing is in the new InSAR add-on. Each step in this process is designed to be flexible, intuitive, and run independently or in sequence through the Geomatica Python API, with default parameters to aid automation. Using RadarSat-2 and TerraSar-X, InSAR is suitable for any land subsidence or uplift application and allows time-series analysis to measure change and rate of change across stacks of images. Interferograms can also be generated from Kompsat-5, Cosmo-Skymed and other sensors. Improvements for ortho-project management include image thumbnails and reference backdrops, making it easier to see project layout, while new tie-point collection, blunder detection and point thinning provide better point distribution and stronger models. Geomatica 2017 users can now work with a suite of new sensors, including PlanetScope, ZY3-02 and TeLEOS-1, along with updates to Sentinel-2, Kompsat-5, Pleiades, RapidEye and CBERS-4.